For all the necro mains out there, we have great news. 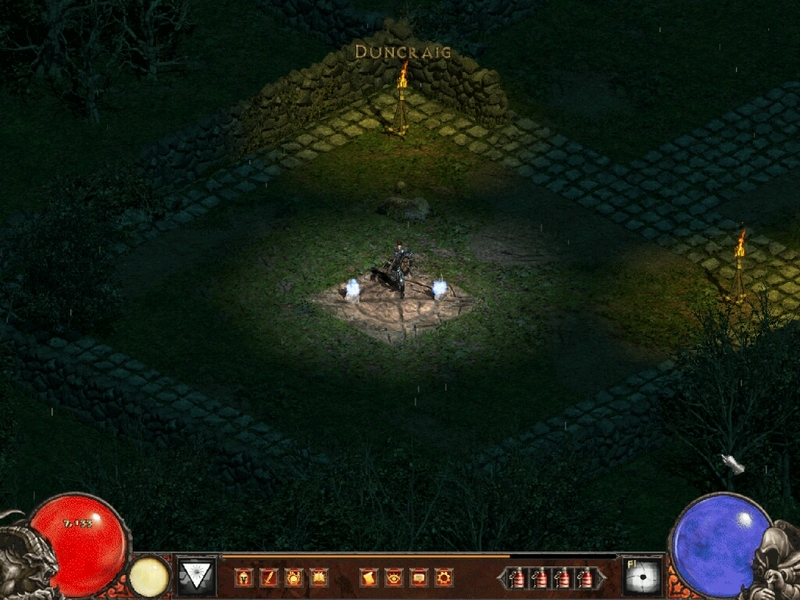 If you haven't played necromancer before, now is a great time to start. 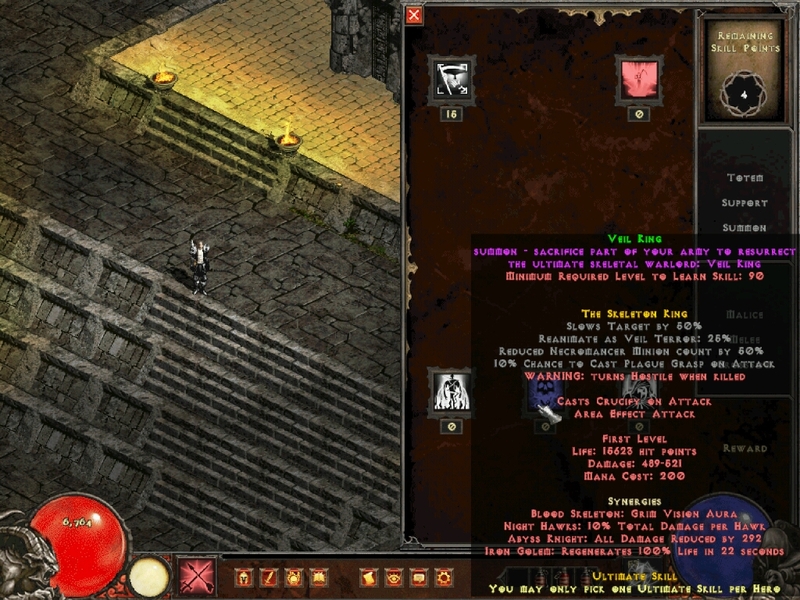 The major issues with necromancer ranged from clunky skills and useless summons to a lack of class identity, especially compared to the vanilla summoner necro we all loved. There are lots of changes, so let's skip the whys and go right into it. Blood Skeleton: new skill. Your bread-n-butter summon, has an area of effect attack and provides a powerful aura to your team. Night Hawks: new skill. These suicidal hawks will provide a very solid boss-killer. You can summon looots of them at once. Abyss Knight: new skill. Death knights with a powerful ranged elemental attack. Their Thermal Blast attack converts damage to both fire and cold! Resurgence: new skill. Powerful passive that will boost your minion's damage and chance to avoid damage. All the new summoner skills have powerful effects that scale with hard points. All elemental totems are now considered separate summons, and you can have multiple of each. Totems will now inherit the following stats from the player: spell damage, elemental pierce, energy/strength factor, life after kill and reanimates. Totemic Mastery: new skill. Increases totem count and life, and grants them with a chance to avoid damage. Totem HP is now centralized in this skill. Soulbond: new skill. This passive will provide a massive damage boost to your totems, when you have one of each and they are together. Venomcloud Totem: with a new rare unique, you may obtain the missing brother via oskill. Be ready to wreak havoc. Deathlord: no longer converts you into an ugly 8-directional knight. You can see your scythe again. Famine: now grants movement speed while in deathlord form as well, so it's easier to chase your knocked back enemies. Death Ward: rebalanced as a level 24 support skill, since it trivialized the ultimate pick. Burning Veil: removed as it was obnoxious to use. The bonuses granted have been moved to different places. Bend the Shadows: is now an innate skill. Talon's Hold: now replaces Black Mass as the new ennead skill you may actually care about. Death Pact: new skill. This devotion-based passive will grant bonuses for hard points invested in the melee/crossbow/malice trees. You can't escape your necromancer roots this time. All ultimate skills are now aura-granting summons. Pick wisely. 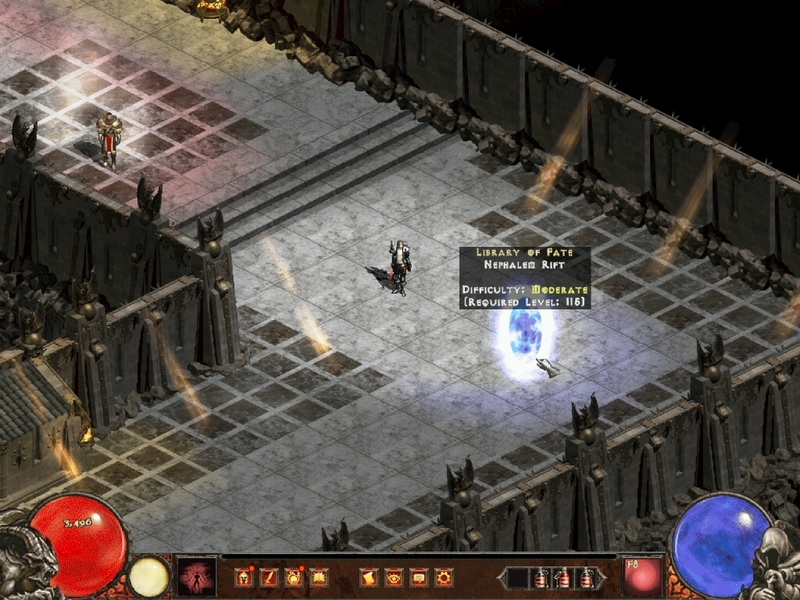 Jinn: now casts a new ranged skill, Eruption, which gains extra missiles with invested points. Hellfire aura is a very strong elemental-focused aura. Rathma's Chosen: this immortal summon will now have Evocation Aura, which provides strong bonuses to weapon-based builds, and summon stat boosts. Veil King: you are not prepared. Really. Additionally, there's 6 new necromancer-only uniques that you can find. The latest patch had massive changes to the experience scaling - this new iteration aims to improve the bracket scaling and minimize relying on party games to level up your character effectively. The previous iteration was supposed to promote party play, but the bonus per player was so high that at times it felt like the only way to level-up. We want to allow players to play solo without major drawbacks, while still keeping an incentive to play together. To accomplish this, reducing the +50% bonus per player was the mandatory first step. Due to known vanilla bugs that caused cube recipes to brick ethereal items, Median XL ethereal items always felt like they were on their back foot. Finding that one ethereal unique was supposed to be a great moment, but due to the inability to use mystic orbs on them, ethereal items were all about having a small chance to find a worse version of an item. Not anymore. - "This Akarat boss says Immune to All, how are you supposed to even kill him lol!!!?" - "Why did the devs change the colors like this?? :@"
Long story short, we didn't - this was primarily Glide's fault. Median's illumination settings were adjusted mainly for use with the built-in video modes. Back then, people would install the game and get Glide for extra enhancements, but in recent launcher updates, we started shipping Glide as the default video mode (and for many good reasons). Understandably, the game was looking much more different for people that didn't intend to use a more modern video mode. Glide works primarily as an augmentor. If something is dark, it will become even darker. If something is bright, it will become too bright. If something is blue, it will become bluer. This overhaul consisted in neutralizing illumination settings and gimmicks, primarily using a low-contrast logic. So if a level had 0% red and 100% blue light, it will now have 25% red and 75% blue, Glide will pick up on the difference and the effect will be nice and subtle as opposed to making the stage look like an aquarium. We really appreciate the gritty looks of D2 and definitely consider it one of the main selling points of the game. The illumination for every stage has now been manually modified to look nice when using the new default video mode, Glide. Additionally, many light effects, such as the ones coming from monsters or missiles have been greatly reduced. We have now fully implemented new town mechanisms. Both Caldeum and Silver City are now fully considered towns, meaning that dying or using a town portal in certain zones will now take you to these towns instead. Now that we have actual towns with waypoints, you can expect to see more towns implemented in the future. Strange riftstones have started to appear on Sanctuary, use them to travel to a realm between worlds. Discover what is manipulating mind and matter and why, before it is too late. Play through an epic 15 level quest chain, where the areas are transformed with every new game and unique challenges await. 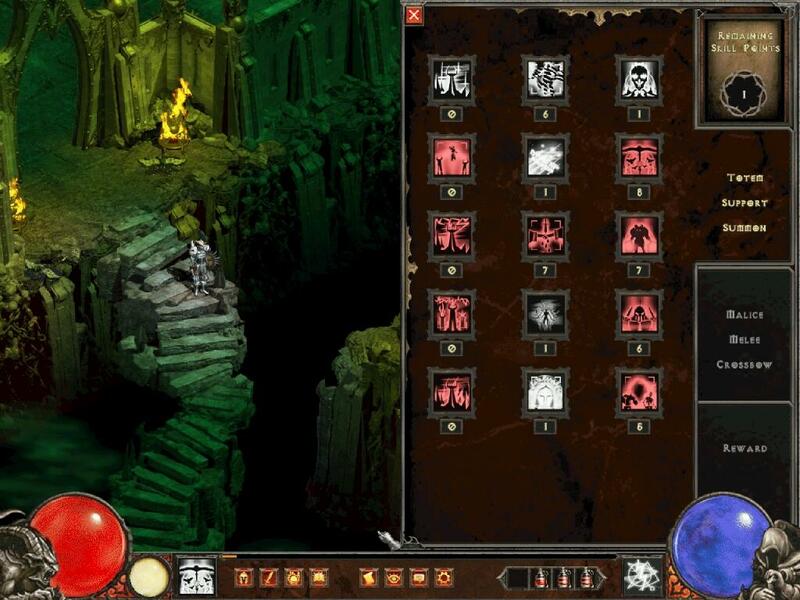 Monsters gain unique modifiers which strengthen them as you venture deeper, yet defeating them offers many outstanding rewards. Those which successfully brave the Labyrinth will also be rewarded with a powerful charm which may be further enhanced by the most diligent headhunters. Yes! This is not everything. We have more unannounced changes, and as usual, you can expect a lot of balance changes to class skills, items and endgame zones, as well as your trimestral dose of bugfixes. We want to thank the community for supporting us more than ever - the sigma launch was greater than anything we could have ever imagined. We are very grateful for your patience and sticking with us through all these years. To everyone that has joined after the 18/jan, welcome! Hopefully you're ready to dive into your first fresh ladder season playing MXL. THANK YOU! nice work team, cant wait. Looking forward to the final patch notes. Kudos! those waypoints are great ty.